This is my first time buying; do you have any tips? 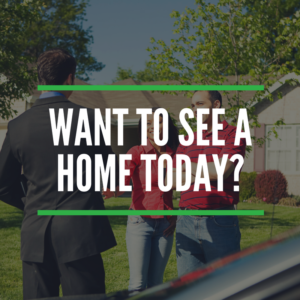 When should I begin looking at homes? I found a house online that I want to see; now what? I want the best deal on a home. Shouldn’t I take my time and see as many houses as possible before making a decision? Do I need an agent if I’m buying new construction? How much of a down payment do I need to purchase a home? I’m interested in a foreclosure or short sale. Is there anything special I should know about purchasing one? Several. First, relax – we can help make this easier for you. Set up your free 1-hour consultation with us and we can walk you through the whole process. About two to three months before you want to close on a home. Closing takes 30-45 days; this gives us about four to six weeks to find the right home for you. We are really good at what we do (if we do say so ourselves) and can help you narrow down the choices quickly to the best available options. Typically, our buyers find the right home after viewing 5-8 houses. The first step, before you see any homes, is to speak to a lender and get preapproved for a mortgage – that way you’ll go into the process knowing exactly how much home you can afford. Fortunately, we know a few good lenders. We completely understand the desire to get best deal out there – but you don’t have to drive yourself crazy waiting to see what’s around every corner. That’s what we’re here for. We can quickly narrow down the 10,000+ homes on the market in the Triangle to just those homes that meet your specific needs. By working with us, you will save tons of time. Not to mention gas. Absolutely. You may get a different answer from the builder’s sales reps; just keep in mind who they are working for. The fact of the matter is you’re not going to get a better deal from a builder just because you don’t have an agent – so don’t pass up the opportunity to make sure someone is looking out for your best interests. There’s also a practical consideration: We see a lot of homes, and can make suggestions on upgrades that make sense versus things that may be overpriced. And while everyone loves the model home in new communities, they’re loaded with upgrades. We know the right questions to ask to make sure you know what’s included in the base price and what you’re really paying extra for. And, of course, we can also look at the recent sales in the neighborhood to see how much the builder is negotiating on the prices, and help you compare what you’re looking at to other new communities nearby that you may not have explored yet. The answer depends on the type of financing you qualify for. At the lower-cost end, there are still 100% financing, no-money-down loans available for first-time and repeat buyers. In those cases, your closing costs (fees associated with purchasing the home like mortgage fees, prorated taxes, homeowners insurance, etc.) are typically around 3% of your purchase price. However, we can often negotiate to have the seller pay this, so you won’t have to pay money out of pocket to closing. You will still be responsible for an initial deposit of around 1% of the sales price as well as fees for appraisal (roughly $400) and a home inspection ($400-$600). Everyone’s financial situation is different. The best person to discuss this with to get a more specific answer is one of our trusted lenders. Emphatically yes. We’ll be happy to tell you all about it.